First, go check out Michael J. Solender’s PEWTER BADGE at Yellow Mama. This one is damn fine noir. Second, Jason Duke’s PHOENIX NIGHTLIFE concludes this week at CrimeWav.com. 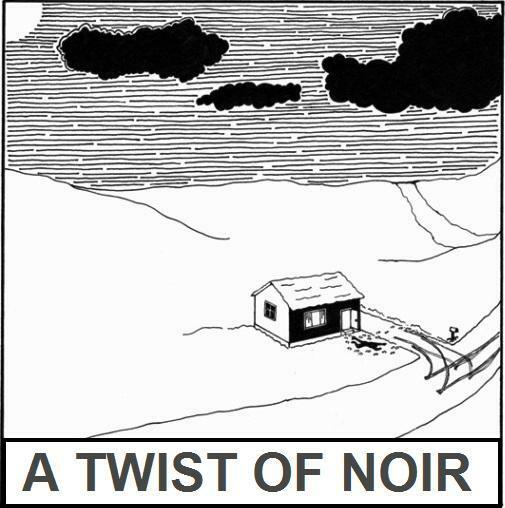 And, finally, sometime this week I’m going to be making an announcement about the future of A Twist Of Noir. No, the site isn’t going anywhere so please take a deep breath. ATON is going to be around for a goddamn long time. That’s all I’m going to say for right now. Be sure to check back in the next couple of days for what I’ve got planned. Pewter Badge is a cracker! Good luck with your plans for ATON, Chris. I'm working on a few pieces at the moment, so I'll be sending one or two your way, with hopes of them being accepted. Good thing you put that "Relax boys" in the next sentence. My heart attack was in full cry there for a moment. Yeah, Pewter Badge most certainly rocks. All should read it or suffer the consequences! I'm anticipating this news about ATON--glad it will be around for a long time to come.